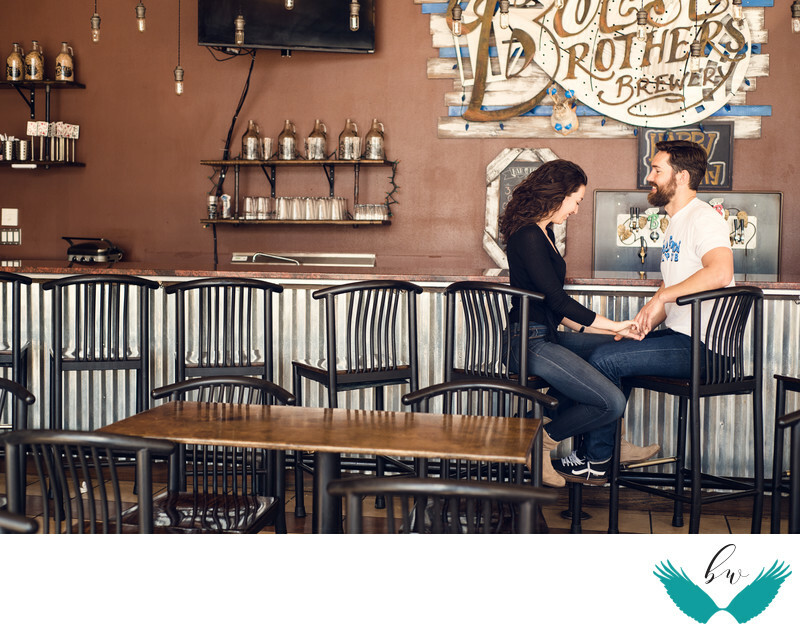 An engagement session at Boese Brothers Brewing in Downtown Albuquerque, New Mexico with Lexi + George. Sitting at the bar talking. Location: 601 Gold Ave SW, Albuquerque, NM 87102.